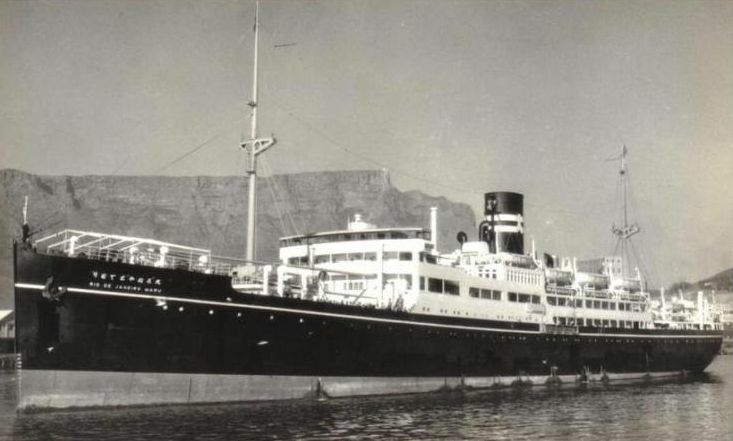 RIO DE JANEIRO MARU was converted to a submarine depot ship in 1942. She was rerated as a transport in 1943 and sunk by carrier aircraft at Truk in February 1944. Her sister was BUENOS AIRES MARU. She was converted to an IJA hospital ship and mistakenly sunk by USAAF B-24s bombers in Steffen Strait between New Hanover and New Ireland, Bismarcks in November 1943. Propulsion: 2 Mitsubishi-Sulzer diesels, 2 shafts, 6, 500 shp. RIO DE JANEIRO MARU Four 5.9-inch (150-mm), two 25-mm Type 96 dual AA guns.